I'm going to let you in on a little secret, here. I was turned off the stuff by the dental-health people who came to my school when I was a wee 'un. They told me to brush my teeth with the ghastly gritty super-minty high-fluoride toothpaste they always brought with them, I begged them not to, they made me anyway, I vomited copiously, and that was the end of toothpaste for me. Heck, for many years I didn't brush my teeth at all. You may, at this juncture, be imagining the plausible results of this refusal, on my part, to allow society's frivolous protocols to take precedence over my personal values. My mouth, you will be surmising, must be a steaming, mangrove-covered bayou, occasionally punctuated by by plopping mud-bubbles and shattered, gravestone-like, lichen-encrusted teeth. I do not blame you for jumping to this conclusion, for it is perfectly reasonable. That was certainly the response of the dentist I visited, for the first time in at least ten years, a while ago. But, as the dentist and her similarly terrified assistant immediately discovered, my teeth are actually just a bit yellower than the average. Every one of 'em was there, not a one had a hole in it. And my breath didn't, and doesn't, smell. This is because, as that dentist cheerfully confirmed for me after she regained her composure, brushing your teeth is the least effective way of cleaning your mouth. Brushing your teeth isn't useless, especially if you're thorough about it and do use fluoride toothpaste. But the danger spots in your mouth are between the teeth, where food particles accumulate and feed colonies of bacteria. And if you want sweet breath but only clean your teeth to get it, the similarly-flourishing colonies of bacteria on your tongue will start stinking up your exhalations again as soon as the masking smell of the toothpaste dissipates. So what dark rituals was I performing, to escape what countless jaunty animated toothbrush mascots have insisted is the inevitable consequence of not scrubbing your teeth with minty froth? Well, I floss pretty regularly, and also clean properly between my teeth very regularly. I do that now with Piksters "interdental brushes", which are, essentially, tiny tough pipe-cleaners for the gaps between your teeth. And to avoid smelly breath, I clean the top surface of my tongue, every morning. There are many purpose-made doodads for scraping your tongue; plastic ones cost almost nothing, so you might as well give them a go. I've always found a straight scraper blade to be perfectly adequate, though; I use a little six-inch steel ruler. Apparently if you use a tiny little scraper it can take three minutes to clean your tongue. My manly metal scraper would have pretty much removed my lower jaw by then. Yes, my taste-buds still work. And... that's it. Keep the in-betweens clean, scrape the tongue, job done. Not one filling, for 35 years. I didn't avoid dentists because I had good reason to be terrified of them. I just didn't see the need. Loss of saliva production is dangerous for teeth. Saliva actively protects teeth, and decay can progress much faster when you run out of spit. This is part of the recipe for the "meth mouth" phenomenon, which can occur if you use any drug, like marijuana or the far-less-interesting medication that I'm on, which inhibits saliva production. All you have to do is habitually take such a drug, then treat your uncomfortable cotton-mouth with sugary and/or acidic fizzy drinks instead of something like milk or water (sugar-free chewing gum can also be helpful). Your teeth will then be rotting out of your head surprisingly soon. Especially if you also grind your teeth in classic tweaker style, and can think of a million very energetic things to do that are not cleaning said teeth. Anyway, now it's a few years later again, and I've got a couple of fillings. But only a couple, touch wood. I brush my teeth now, with one of those fancy super-fast circle-jiggling electric toothbrushes, but I still don't use toothpaste. Everything seems to be going pretty well. My previous interaction with a dentist, before the mysterious alien-implant thing, had been many years before, when my wisdom teeth were coming through. A bridge of gum-flesh remained over the middle, from the back to the front, of at least of one of them. This is an absolutely prime spot for gunk to accumulate and start destroying the "new" tooth before it's even finished erupting. The bridge will normally separate on one end as the tooth emerges, if like me you're lucky enough to have a jaw that in clear violation of God's plan actually has room for wisdom teeth. But you'll be left with a little flap of flesh over part of the tooth, and probably also a pocket down the side, which is almost as bad. It's basically impossible to keep these areas constantly clear of nasty-smelling... gunk. So I'd been making damn sure the rotten-ness didn't have a chance to take hold, by digging and flicking and poking at the area with whatever small pointy object came to hand. The wire in the middle of twist-ties did a dandy job of getting some nice cleansing blood flowing. I was, and still am, delighted to say that this dentist, also, endorsed and encouraged my bizarre oral-hygiene activities. What are your thoughts on waterpiks? I've been considering getting one because my teeth and gums laugh (ie. bleed like I've got ebola) at my attempts to use floss or interdental picks (and like you, I've been introduced to the wonders of the electric toothbrush. I figure if I'm already using one labour saving device, what's adding one more?). I can't speak for Dan's opinion of waterpiks but I swear by mine. Most of my teeth are so close together that I cannot get floss in between them without ending up with 2 pieces of floss. Even the super thin ribbon stuff gets shredded. The waterpik, whilst probably not as effective as direct friction from floss would be, does an admirable job of keeping the inter-dental spaces clean. Before I started using it I had a devil of time keeping them clean enough for me to be happy about them. I'm 36, been using a waterpik for the last 10 years, and no fillings so it must be doing at least a bit of good! I used to have one about 16 years ago, to assist with dental hygiene problems associated with having braces. It was fantastic for gum massagy/flossy tasks and although usage would often result in water going everywhere, I was 12 years old, so that may not have been the fault of the device. It broke after a few years, and with the braces gone, we never bought another. Regarding using metal objects that are close to hand for clearing one's pink fleshy bits - is there not a risk that you'll wear away the enamel if you scrub obsessively? On the one hand, nothing beats an unpicker from a sewing kit, but on the other, I've heard of people wearing away enamel from obsessive brushing, so I imagine metal objects would be somewhat riskier. I thought I was the only one not to brush... and uses the wire from twist-ties (paperclips work for the really large gaps too). Ah, Dan, you'll get a charge out of this one. My dad was stationed on a remote posting with the Air Force. Getting on towards the time of re-supply, some things began to run low, among them alcohol. All that was left was creme de menthe and creme de cacao. One fellow decided he needed to get proper drunk, and did so by way of the creme de menthe. He got so far gone that he proceeded to "Have a chunder" as you Aussies put it so brilliantly. In fact he chundered quite a lot indeed. The next morning he discovered that, in addition to a splitting headache, that he could no longer stand the taste of the mint toothpaste that was, of course, the only kind available on the remote site. He spent several months brushing his teeth with Ivory Soap. In the US we have cinnamon toothpaste; in fact I've become quite accustomed to it since an Ex girlfriend who, much like you, couldn't stand mint dental products introduced me to it. Perhaps you might look for that the next time you're at the shop. Then again, given your love of mixing things with other things, try adding some hydrogen peroxide (the weak kind you get from a druggist's, not the rocket fuel kind that I have no doubt you have hanging around somewhere) to some bicarbonate of soda. You will feel the resultant product in action like no other! I appreciate this novel expansion of the classic "I haven't drunk X since Y" story. Have you ever tried non-mint flavoured toothpastes? We use a fennel-flavoured one, completely mint-free cos my other half doesn't like minty toothpaste, and once I'd got used to it I found it quite pleasant. I should state, though, that my head is stuffed full of fillings, so you can safely disregard my suggestions on dental health. Also AAAAAAAAAAAAAAARRRRRRRRRRRGH! at the kids skull with two sets of teeth, flippin' heck. Unless he has sustained a massive dose of radiation to his face, the honourable Monsieur Dan may have been prescribed something with anticholinergic properties. I wonder if one inelegant solution would be to start taking something like rivastigmine or pilocarpine, which counter this effect? Side-effects (at least theoretical ones) may include an increase in cognitive performance (not that he needs it). The saliva would also return. Also, potentially, one could go quite mad. My wisdom teeth came in -- sideways. Didn't know that. Didn't feel any problems and assumed that what was not a problem was not something to fix. 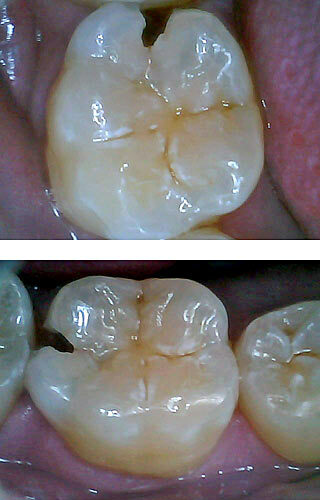 The way a tooth makes its way to the surface, though, is to form a sort of cyst in front of it that dissolves a path. Mine were cheerfully boring their way through my lower jawbone. When I got a job and was able to see a dentist again, he said "you've got so many interesting things going on in your mouth." The oral surgeon advised me to not eat anything tough or hard for 6 months or so. So I guess you've got good genes and congratulations on that. But your story is what we call in science an "N of 1" and has no broader meaning. You're an outlier. You're right about the saliva thing and there are products to deal with it. But you're not right about not brushing and at some point you will, like me, have a long and happy relationship with a periodontist who will tell you so. And who tells me "the detergents in the toothpaste make your mouth feel clean before it is clean so brush for the full two minutes and four is better and fluoride mouthwash after." Another toothpaste-free way of brushing your teeth is reported on here (http://www.nytimes.com/2007/11/13/health/13teet.html - the first brush mentioned). Unless of course it turns out to belong in the same department as those power factor correction devices you regard so highly. I'm inclined to say the effect (if any) would be so small and weak as to be indistinguishable from a regular brush and therefore it gets the "emperor's new clothes" label from me, but since chemistry never was my favourite subject, I can't give it a qualified verdict. What's your take on it?